The precious yellow metal has been one of the ancient discoveries of human civilisation that exhibits elemental properties of transition- (bonds with other metals), shiny, soft in nature, non toxic, ductile (stretch into gold threads), malleable (break into thin sheets), un-reactive (does not corrode) with highest purity measured in 24 carats of gold. • Jewelry, Coins, and Bars- This is the most popular way to buy physical gold. • Gold ETF-a mutual fund held electronically in demat account with benefits of no wealth tax, transparent pricing, readily convertible to cash and traded on the stock exchange at the current price. • Gold Fund of Fund-another type of mutual fund with similar features of being highly liquid, purer, transparent pricing is standardized, does not attract transaction fee and wealth tax. 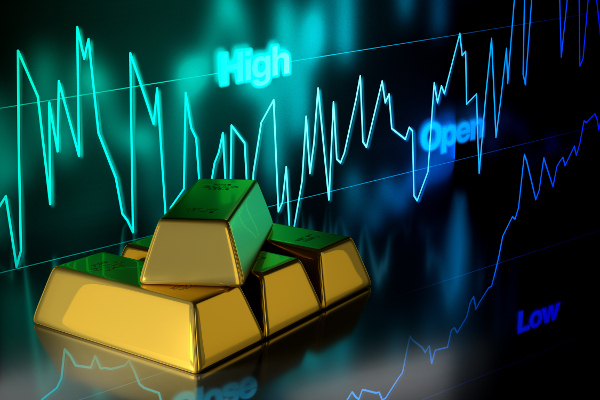 • Electronic Form of Gold is advantageous over physical gold because it can be bought and sold faster in small denominations with complete transparency in price. Gold Fund and ETF’s serve as long-term capital gain with a lower rate of tax when held for more than one year. Also easily convertible into bullion coins and gold bars maintaining purity. • Gold Loan- most convenient way of loan from banks and non-banking finance companies which includes no processing time and minimal document. • Hedge against Inflation during the economic downturn. • There is strong diversification in Investment portfolio since it has little correlation with other stocks like equity and debt when the market becomes volatile. • The purchasing power of gold remains preserved since generations during deflation as well as inflation. • When the market environment runs well, inflation increases demand and supply of gold. • Less Risky and fix for small investments: investing in gold is less risky because money will never devaluate but remain same or increases. • Gold maintains its value over time even when there is a change in price. • Stable returns assured for short-term investment. • A favorite choice of investment since ages. • A universally accepted commodity for investment. • Increase in production of various products that use gold makes the gold price go up. • Historically been a consistent performer even in the case when the rate of currencies as those of Indian Rupee, US dollars dips drastically against gold. • Trust and confidence of investors in gold is more than cash in the bank. • Most treasured heritage asset in the form of coins, currencies, bars as pride collectibles of the ancestors for their heirs. • Always known for its simplicity and sentimental value. • Cannot be manufactured and stands indestructible. • Much safer than other investment alternatives. • Favorable to invest when there is an increase in seasonal demand for gold as seen amongst the Indian population. From the above information, we can conclude that investment in gold is indeed one of the excellent investment decisions. Though gold may not be the best option to achieve high and regular returns, nobody would also agree that gold would be the worst choice to invest.